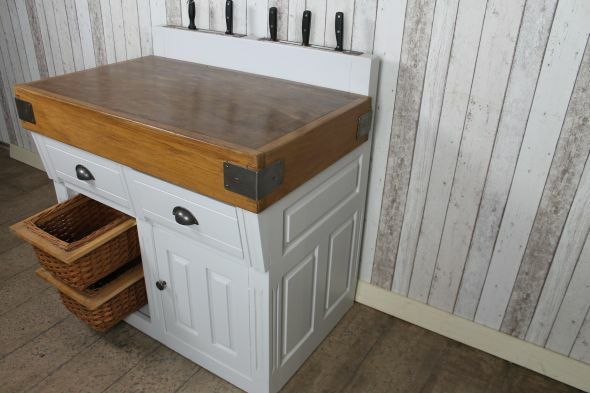 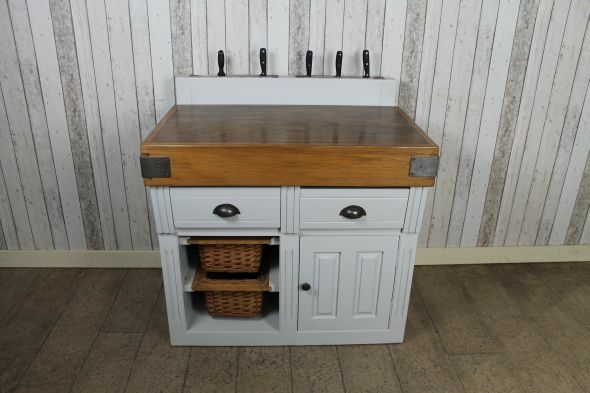 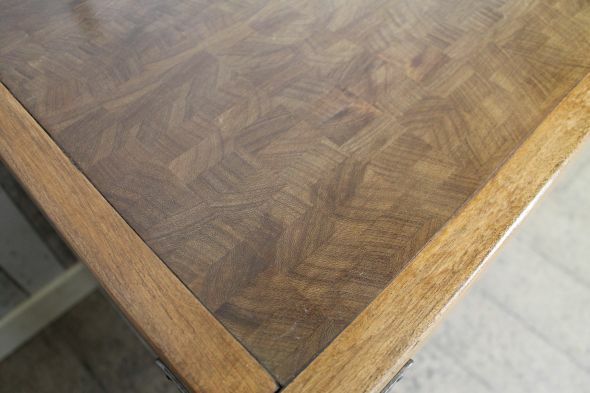 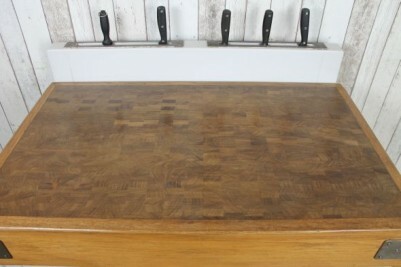 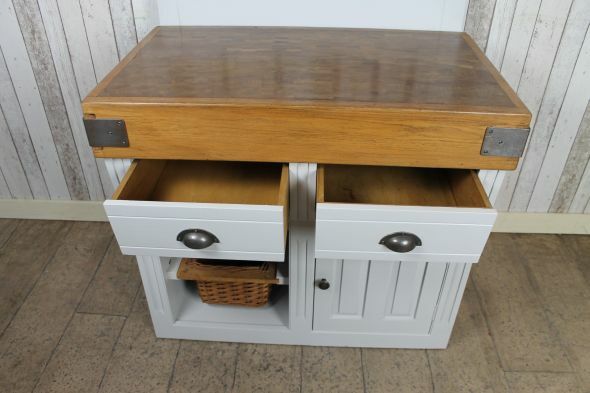 Recently acquired from a local clearance, this great quality butcher cutting table features knife slots to the rear, and a large solid beech and oak cutting block which sits on a large panelled base with two drawers and a small cupboard. There are two pull out baskets and the item is also freestanding. 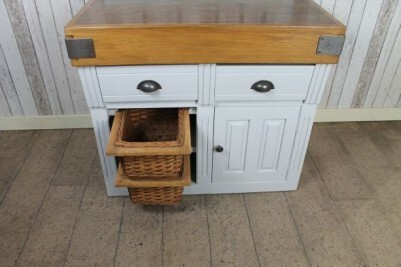 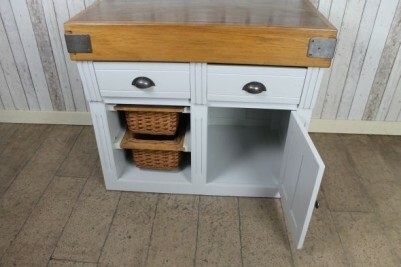 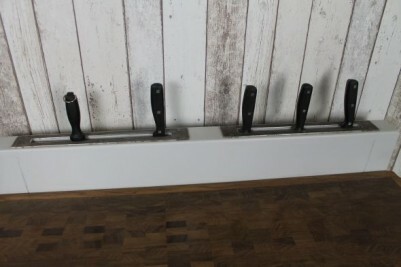 It is in good condition for its age; ideal for any large country kitchen. We believe that this piece dates from the 1980s so not particularly old, but of good quality. Please note that the knives are not included in the listing.